Although a designated landmark, the proposed new site for the Department of Homeland Security (DHS) in the heart of the St. Elizabeths West Campus, Washington D.C., is an intense fixer-upper. Working with architects Shalom Baranes Associates and contractor Grunley Construction, the General Services Administration proposes a total renovation of the 264,300 square foot Center Building, a collection of seven connected structures that served as patient treatment rooms and administrative offices for the original Government Hospital for the Insane. It later became known as the St. Elizabeths Hospital. Once rehabilitated, the Center Building will house the DHS headquarters and the Secretary’s Office. 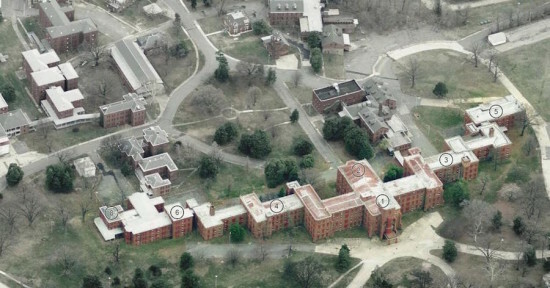 Located north of the U.S. Coast Guard headquarters, the 176-acre west campus was recognized as a National Historic Landmark in 1990. 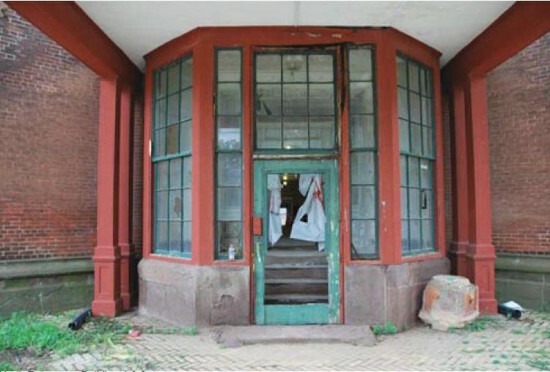 The Center Building was shuttered three years ago following the transfer of St. Elizabeths Hospital functions to the east campus, and photos submitted to the National Capital Planning Commission show that the building is deteriorating on the inside. Its exterior openings were boarded up in 2014 in advance of its reuse. 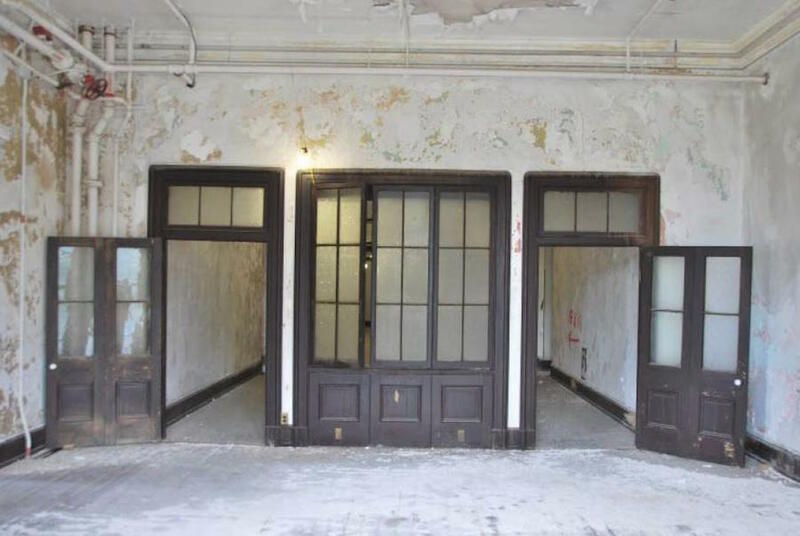 The preservation and restoration project includes building stabilization from below grade, masonry repairs, window replacements, the removal and reconstruction of interior walls and floors, porch reconstruction, and landscape upgrades, among other fixes. To finance the repairs, President Barack Obama’s fiscal 2016 budget request includes $379.7 million to fund the second and third phases of the DHS campus consolidation. Department of Homeland Security Grunley Construction Masonry new office for the department of homeland security Preservation Restoration Shalom Baranes Shalom Baranes Associates st elizabeths hospital st elizabeths west campus st elizabeths west campus center building Washington, D.C.